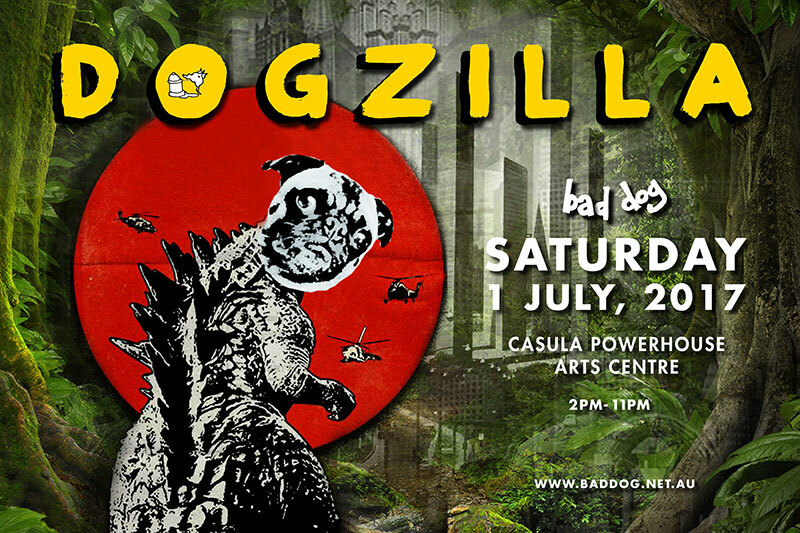 Bad Dog is a roving pack of friends, dj's and art hounds that have banded together to stage a series of get togethers outside the mainstream club scene. Believing mongrelism is the way to go, we happily interbreed all the different hounds in club land in friendly, small scale off the beaten track venues. Remember folks, too much pure breeding results in weak offspring! visual atmosphere that Bad Dog is renowned for. The core group of Bad Dogs are, Annabelle Gaspar, Bill Cotsis, Steve Sonius, Ben Drayton, and Yos Worth. has been loyally served in sound by the extraordinary Kevin Davidson. served a feast of visuals representing Sydney artists and freaks.